As with the last post there is not much new. 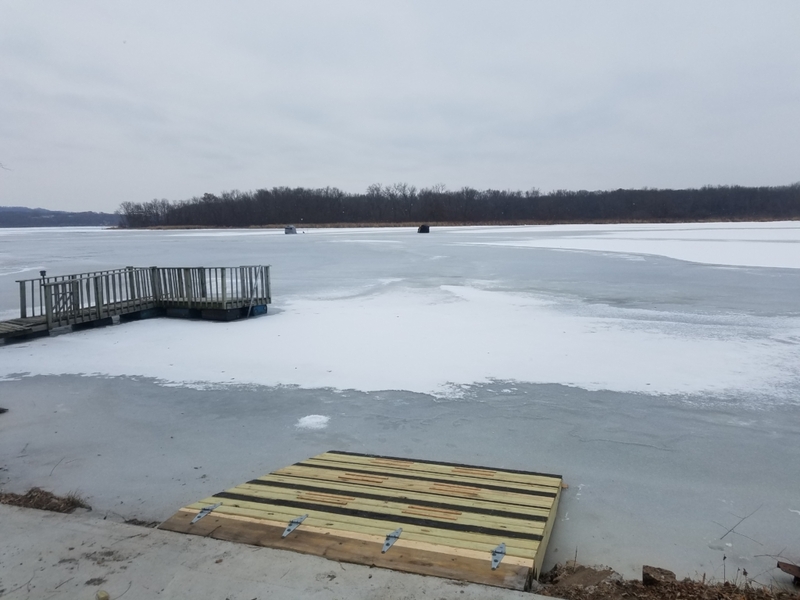 The ice has not thickened enough to get much farther out then the docks by the landing, and it sounds like other early spots are the same. The only good news I have heard is that by the sailboat club people are able to creep out into the lake a bit. As always be careful in a week or so we will be making some good ice! The ice is coming, although the wind is slowing down the formation. I think guys will start venturing out early next week? Just to let everyone know I will have a ramp for ATVs and UTVs that goes from my parking lot straight onto the ice. This is free for everyone to use, no more having to turn around and go back up the hill! I am also going to have a shuttle run on the weekends from the shop out to Marge’s Island as soon as ice permits. Stop in if you have any questions about that. 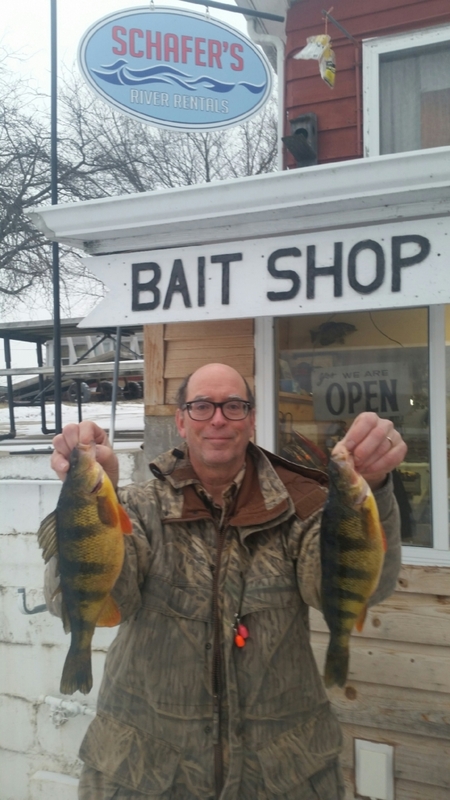 I am excited, we are set for a really good ice season on Lake Onalaska! 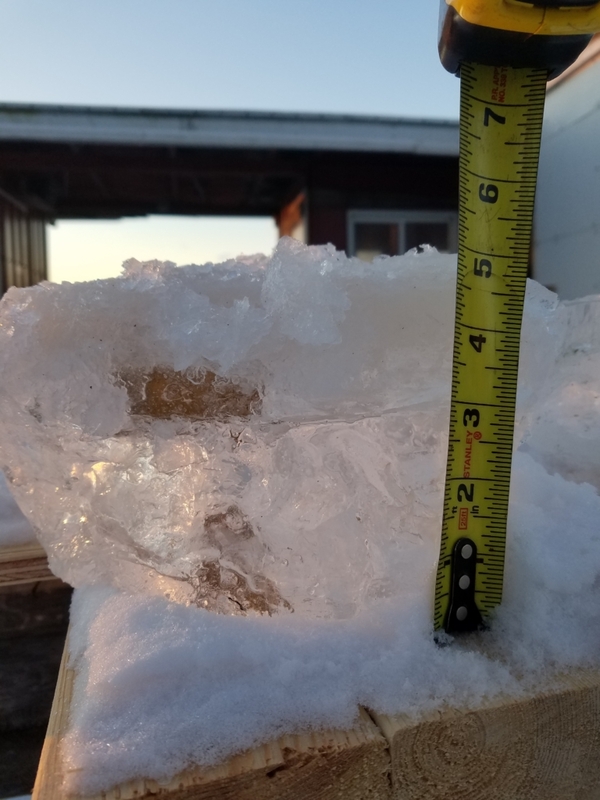 I will update the report with ice thickness regularly, so check back to see where it is at.